This nomadic mix pack by Whistler Brewing Company was made for on the go gatherings and off the grid adventures. Featuring four of our craft standards in one box, it’s packed with enough variety to keep you and your friends rambling on and on. 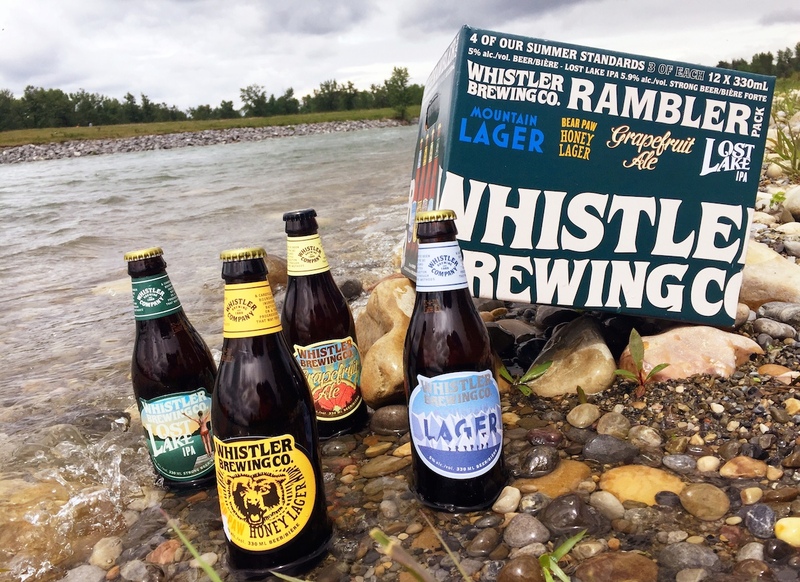 This sampler pack is available year round at any liquor stores where Whistler Brewing’s brews are sold. Made with a malted blonde base & brewed with fresh grapefruit zest. A very well balanced brew on the malt & hops front, with a clean but intensely enjoyable grapefruit finish. And props to their designers this bottle and label is stunning. Tastes like it’s right out of the hundred acre woods. Maybe the reason why Pooh takes so many afternoon naps? Brewed with organic BC honey, as smooth as Eeyore’s one liners. This award winning honey lager is a must-try! Want more from the Beer Maven? Click here for reviews, brewery tours, and more! Like the waters of Lost Lake, this unfiltered India Pale Ale is refreshing. This hoppy IPA is a confident natural beauty (much like the bottle model) that begs to be enjoyed lakeside or at your next campfire. The 70 IBU isn’t in your face but thoroughly appreciated. Light fruity tastes that make this IPA one of my favorite summer IPAs. A simple lightly hopped lager with a clean finish. Sometimes simplicity is best. When something is done to perfection you don’t mess with it. Voted by Whistler residents as their preferred lager, and now I know why! Tool Shed’s Flat Cap Stout is a tribute to Jamie Gordon, the man who initiated the shift from craft bottling to beer cans. Find out how innovation, passion and creativity from one one person can fuel the shift of a whole industry.